Many business owners get to the point in their business and their life where things just stop improving. They reach a comfortable level that many call a plateau, where things are good but not great, and the majority of their previous level of dissatisfaction is now eliminated. They have sometimes even achieved more than they ever imagined they would! While this may sound like a nice place to be, and it can be for a short while, it is also a dangerous place to be. Staying at this plateau can led to complacency, and the theory that “if you aren’t growing you are dying” kicks in when you least expect it, often slowly taking you right back where you were without you ever realizing it. The reality is that getting to this point is a major victory, and it is an opportunity to take things from very good to amazingly great if you get the help you need to do it. 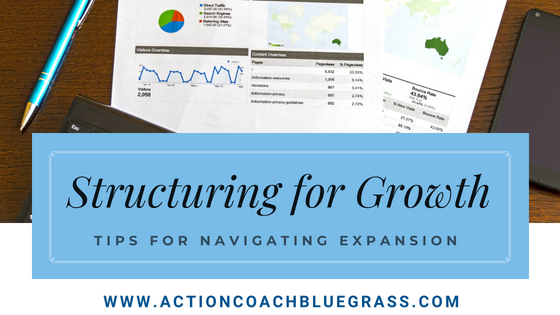 Getting out of the plateau and going from “having it good” to “having it great” is a 4 Step Process of introspection, reflection, and then application of the lessons. 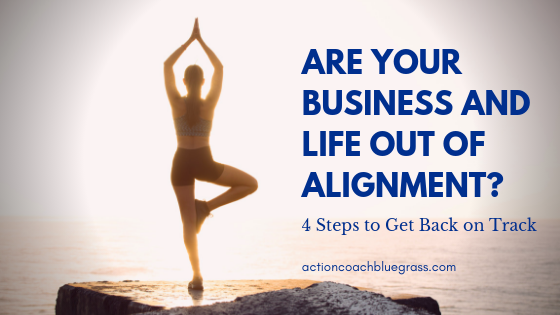 I call this process the Business and Personal Alignment, and it can be a powerful way to take your life to levels you never before imagined. The main reason you can’t get there without Alignment is that you have previously held yourself back by not believing in a better future for yourself. When your beliefs are limited, so is your achievement. Step 1 - Where did you come from? In this step, I want you to reflect on who you were when you started your business. How did you see yourself, what identity did you give yourself as a business owner? What were you original values and beliefs about yourself, your business, your employees, your spouse/significant other, your family and friends? The last reflection is regarding your original goals and vision for your business and your life. What were you hoping to achieve? Step 2 – Where are you now? In this step, we evaluate and celebrate your accomplishments thus far in your business and life. We look at who you have become, your new identity both at home and at the office. We also look at your current belief and value systems, and how they have likely either changed or become more deeply understood and ingrained in the different parts of your life. Last, we review your current vision and goals for yourself, and how that compares to the original versions. Step 3 – Where will you go from here? This is sometimes the hardest step, as so many people who achieve that first level of success haven’t ever given themselves permission to think past the first level of success, as they barely believed they could achieve their initial set of goals. Now that they have succeeded, they often need help thinking beyond that initial success. This is where we take the time to ask ourselves this simple question: Now that I am the person who achieved all of that (where you are in Step 2), what does that mean I am capable of achieving next? What should my new vision and goals be for myself, what are my new bigger dreams now that I have unlocked the power to achieve? Step 4 – Who do I need to be to get there? Now that you have bigger and more amazing dreams, and a value/belief system that supports getting there, the last question is simply “Who do you need to be?” You have already developed the powers to figure out what needs to be done and how to get it done. Now is the most important time to work on yourself, to become the bigger and better you who can take your business, your family, your community to bigger and better things. When all of your Dreams, Goals, Beliefs, and Values are aligned with who you are as a person and a business owner, then you have what Tony Robbins calls Unlimited Power. If you look in the mirror and recognize yourself as one of those who has succeeded, yet you know you aren’t done, take yourself to the body shop and get an Alignment.